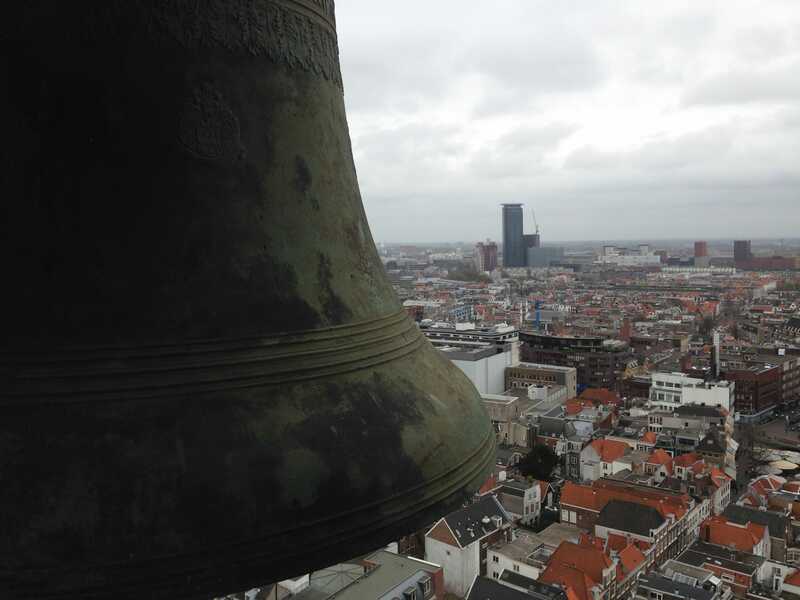 World premiere of FROM THE ASPHALT TO THE SPIRES, a new work based on Dutch sculptor Auke de Vries’s concept: a conversation between the bells of a carillon and elevated percussionists. The four percussionists are 1) on the balcony of Het Nutshuis, 2) outside the English pub The Fiddler, 3) on the balcony of the carillon spire, and 4) on a private 10th-floor roof terrace overlooking the church. Performed by Slagwerk Den Haag and The Hague’s virtuosic carillonneur Gijsbert Kok.